We are fortunate to be the only private game reserve in the Eastern Cape that does not have any public roads running through our property. In addition, we are one of only 3 private game reserves in the Eastern Cape where all of the animals, including the predators, are free-roaming throughout the entire reserve. Of the 6 vegetation types in South Africa, 5 occur naturally on Lalibela. Of these, the Valley Bushveld biome, which only occurs in the Eastern Cape, has the highest carrying capacity of game in South Africa. 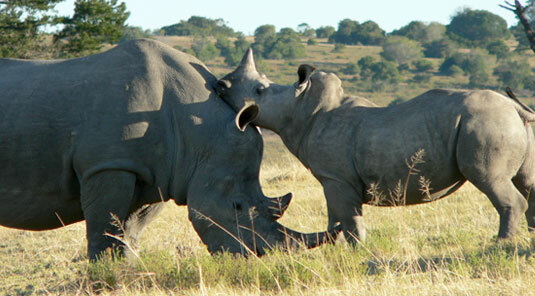 For this reason Lalibela is able to sustain a dense population of wildlife. 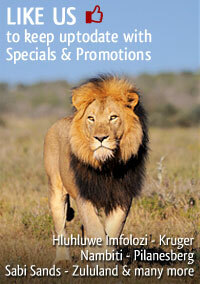 Big5 sightings occur regularly and other game such as zebra, giraffe, antelope, hippo, cheetah etc are abundant. 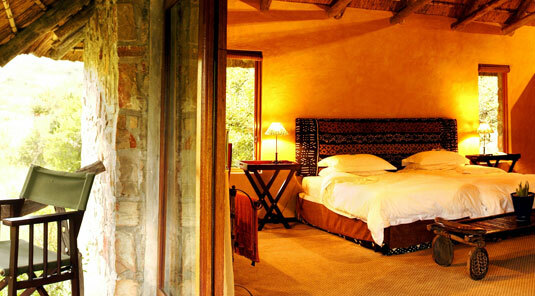 We currently have 3 lodges at Lalibela. 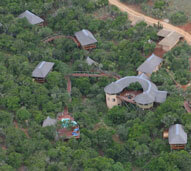 Whilst the standard of accommodation at Lentaba Lodge, Mark's Camp and Tree Top �Lodge are the same, each has its own unique character. At all three lodges, secluded thatched chalets are placed where magnificent indigenous gardens merge into the surrounding bush. 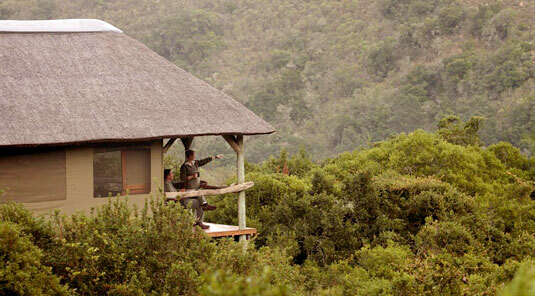 Each en-suite unit has a private observation deck to make the most of the views. 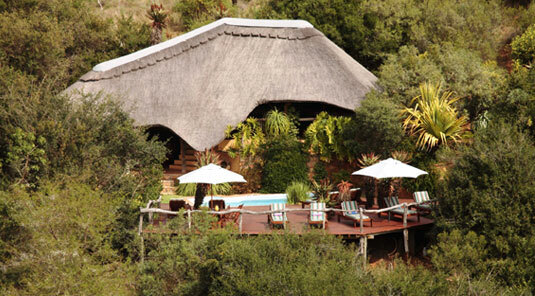 The lodges also boast a large lounge, viewing deck and a sunny swimming pool where you can spend a lazy afternoon. 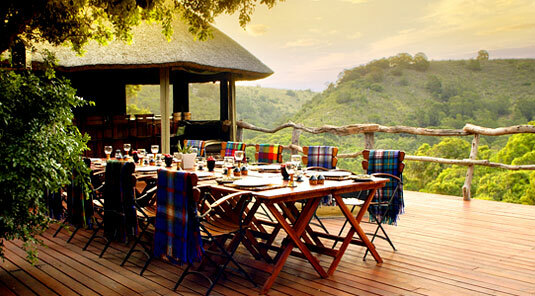 They also have an outdoor dining 'boma' for fireside dinners and open-air brunches, as well as stylish indoor dining areas. On a hillside overlooking a waterhole. Private viewing deck, en-suite bathroom with shower (no bath), ceiling fan, panel heater, direct dial telephone, hairdryer. In a wide valley overlooking a waterhole. Indoor dining room, covered outdoor dining boma, lounge, bar, swimming pool, tea/coffee station, large open fireplaces. Children's playground with jungle gym & entertainment room. Private viewing deck, en-suite bathroom with shower (no bath), separate toilet, ceiling fan, panel heater, direct dial telephone, hairdryer. Family Units are very much the same and have all the facilities of the standard rooms. Where they differ:-they have a bath & shower and the children's sleeping area is divided from the main room by a lattice partition. The children's beds double as lounge area when not needed as beds. Camping cots available on request. Indoor dining room, outdoor dining area on deck, lounge, bar, swimming pool, tea/coffee station, raised walkways connecting rooms to the main lodge. Private viewing deck, en-suite bathroom with shower (no bath), air conditioning/heating, direct dial telephone, hairdryer. 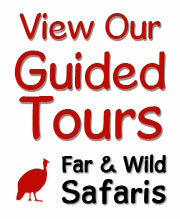 Our location in the Eastern Cape region of South Africa makes us a perfect extention to the Garden Route and Cape Town. Cape Town and Port Elizabeth airports allow visitors to South Africa to save precious holiday time - many of our guests fly into Cape Town, drive along the Garden Route and end with a safari at Lalibela. Check out time at Lalibela allows for guests to fly out of Port Elizabeth and connect with international flights from either Cape Town or Johannesburg, which depart in the evenings. The popularity of doing a safari in the Eastern Cape has grown and this is borne out by the fact that our region boasts a variety of safari products such as Addo Elephant National Park, Shamwari, Kwandwe, Gorah, Kariega and Amakhala. Increasingly people are choosing to have their safari in a malaria-free area. 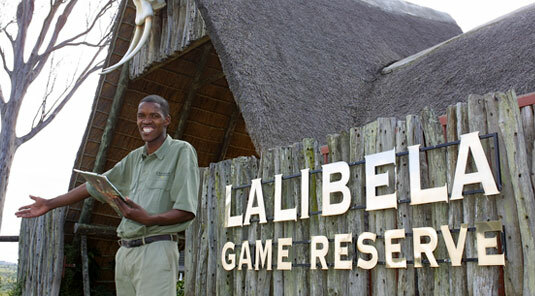 The Eastern Cape is malaria-free which means that your safari at Lalibela can be enjoyed without having to take any anti-malaria medication. Check-in is between 12h00 and 14h30 on your day of arrival. Should you arrive before 13h00, you are welcome to join us for a complimentary lunch either at the reception area or at your lodge (kindly note that drinks at the reception are an extra charge - drinks elsewhere on the reserve are included in the overnight rate - excluding premium wines). Should you have lunch at the reception area your ranger will transfer you to your lodge at approximately 14h30. 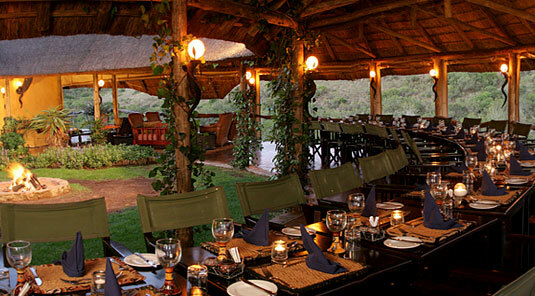 After high tea you depart on a sunset game drive, returning after night fall for a safari cuisine dinner. In the evenings, guests are entertained by our resident African Dance Group before enjoying their evening meal. The following morning you have a light breakfast followed by a game drive, returning to the lodge for a sumptuous brunch. Check-out from your lodge is at about 11h30 when you are transferred back to reception. An overnight stay at Lalibela is fully inclusive of accommodation, 2 game drives, all meals and all drinks (excluding premium wines). We recommend a 2 or 3-night stay to get the most out of your safari experience. One of our lodges has family suites and a special children's programme. Our 128 seater purpose-built conference centre is scheduled for completion in May 2007. State of the art, high-tech amphitheatre layout with dining boma attached. 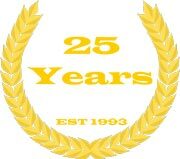 This is a multi-purpose venue, catering for corporate and large private functions. Lalibela now comprises 7,500 hectares (18,500 acres) of valley bushveld, savannah grassland, fynbos, riverine forest and acacia woodland. There are no public roads running through the property and all the animals, including the predators, roam freely throughout the entire reserve. With the increase in the size of our property, our carrying capacity has increased significantly to the extent that we have been able to bring in more lion (a male and female lion). We expect these two to establish their own pride separate to our existing pride of lion. In July 2006 we introduced another family herd of elephant. The herd is likely to meet up with our resident herd from time to time, but the 2 herds of elephant will spend most of their time apart from each other. We are also very pleased to have reintroduced African wild dog at Lalibela. These highly endangered mammals used to roam freely in the area before being hunted almost to extinction in the late eighteen and early nineteen hundreds. They were previously held in a holding boma to get used to the area and were released onto the reserve in early January.